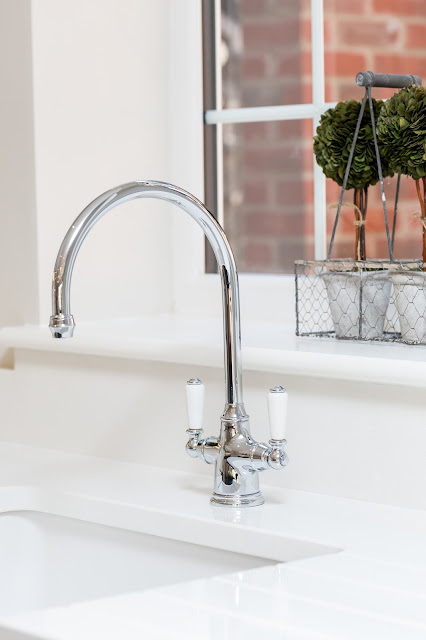 We always love showing you photos from our latest kitchen projects. 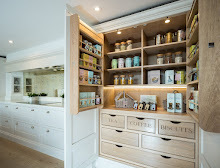 Our clients have created a really tasteful and unique space. 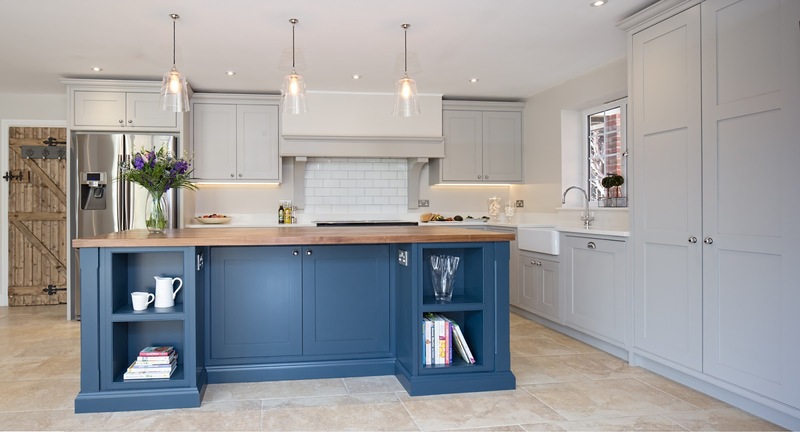 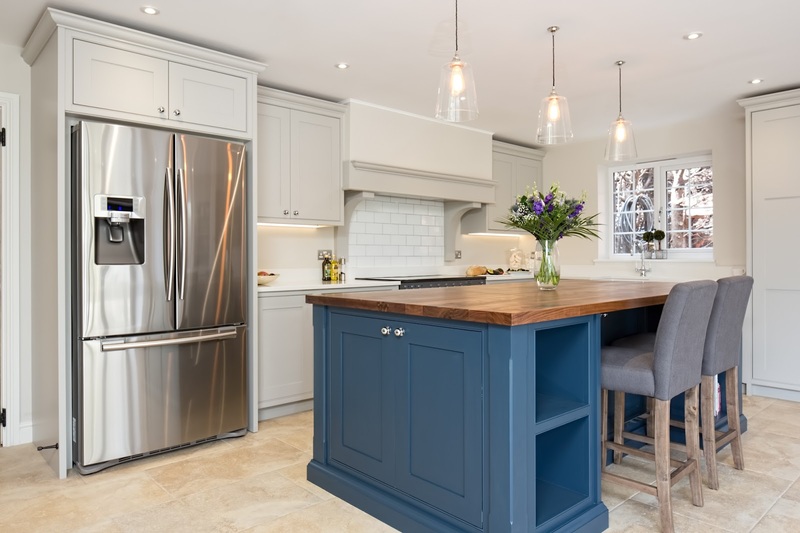 The shaker style kitchen has a striking blue and grey scheme. The cabinetry is painted in Farrow & Ball Purbeck Stone and the island is in Farrow & Ball Hague Blue. 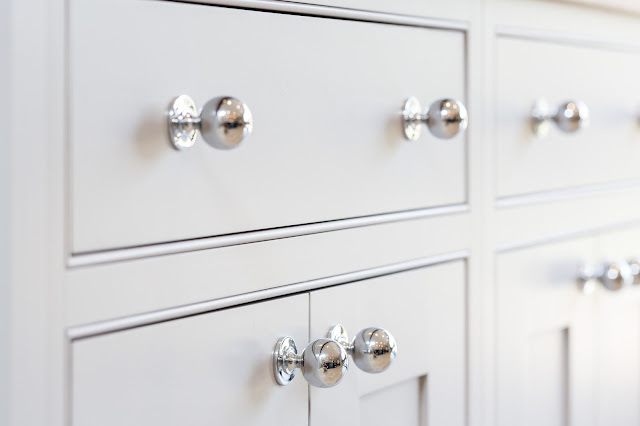 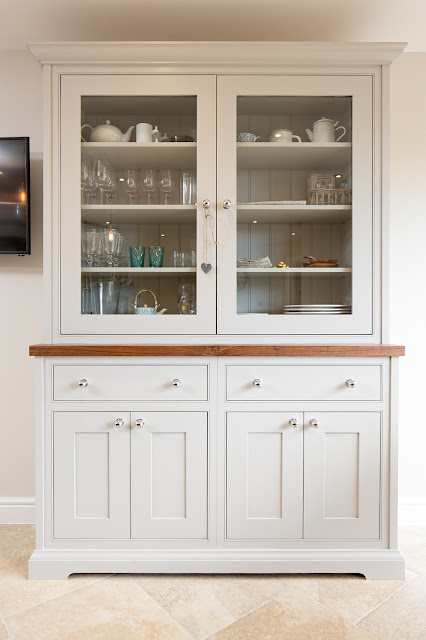 There is beading around the doors and drawers which adds some lovely detail as does the skirting around the base of the island. 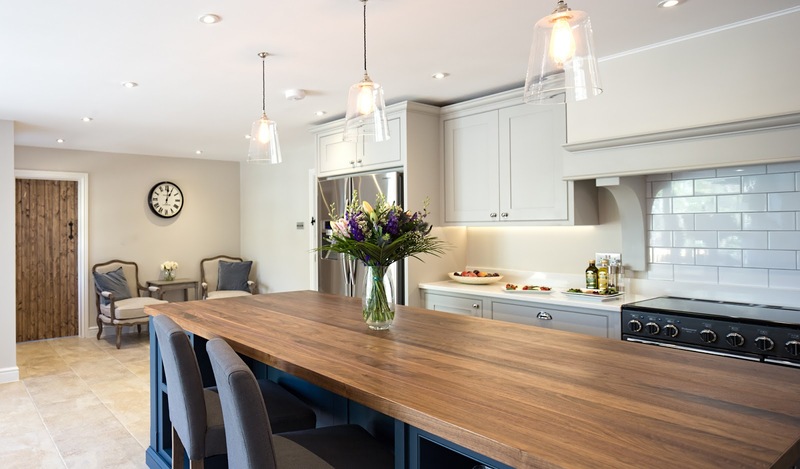 The kitchen incorporates lots of different textures from the walnut on the island, the stone floor and the glass pendant lights. 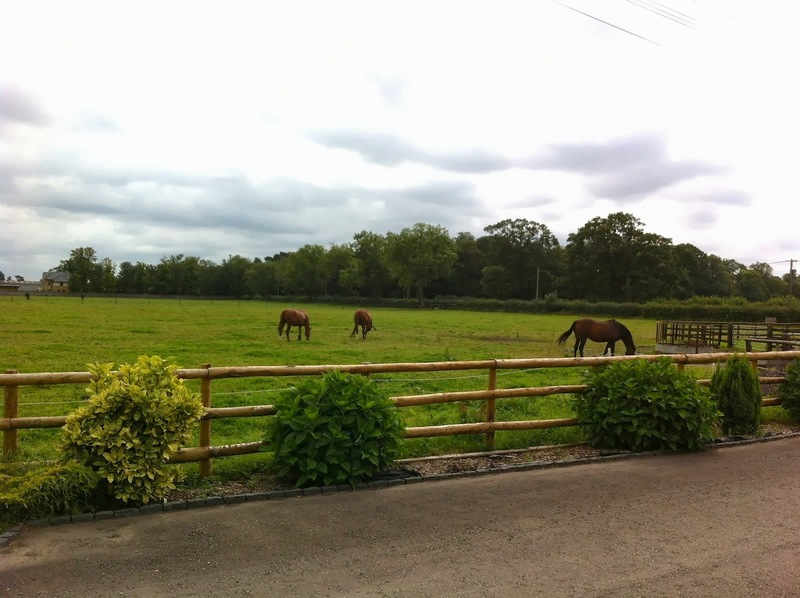 They create a warm and homely space and unify the different areas. 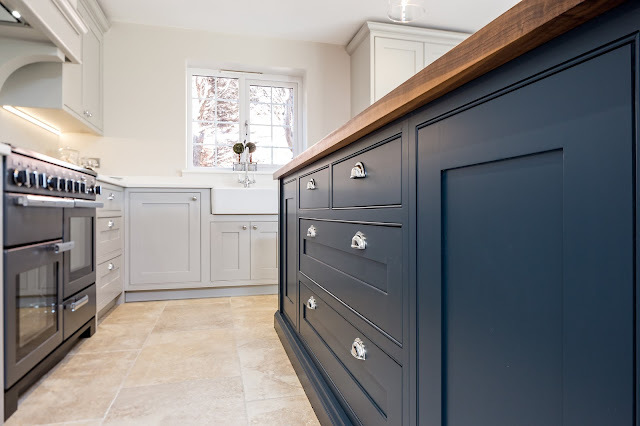 The freestanding dresser is also painted in Purbeck Stone which makes it feel part of the kitchen despite being off to the side. 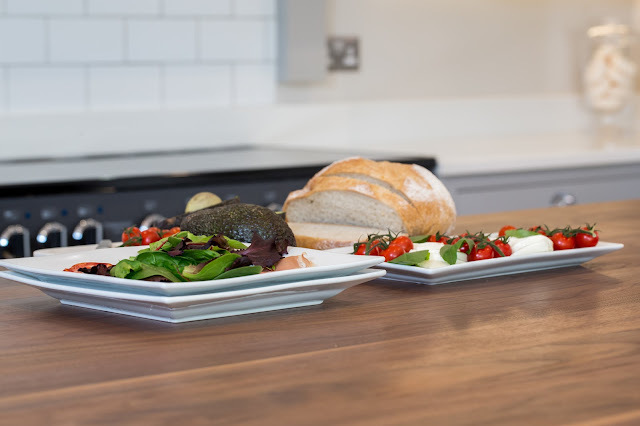 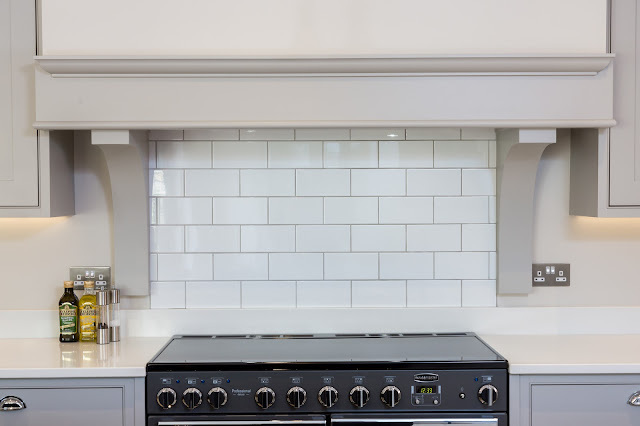 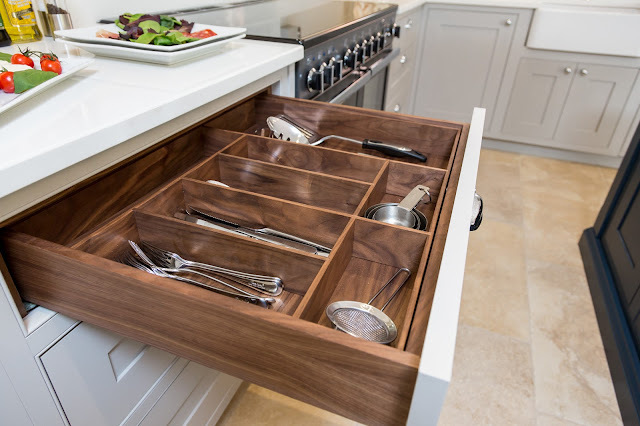 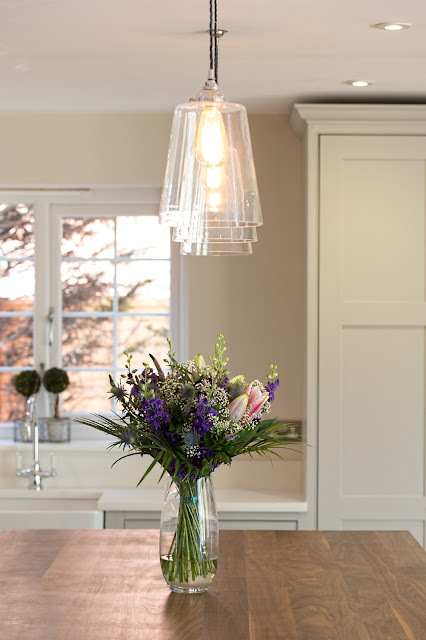 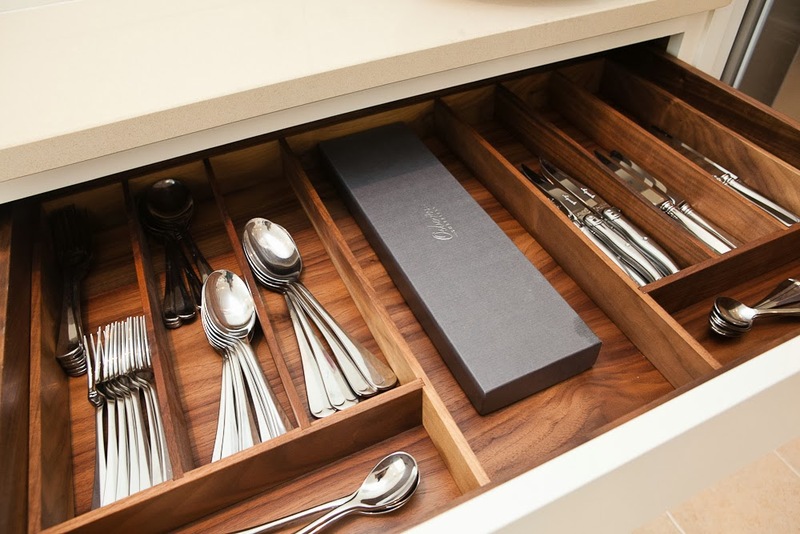 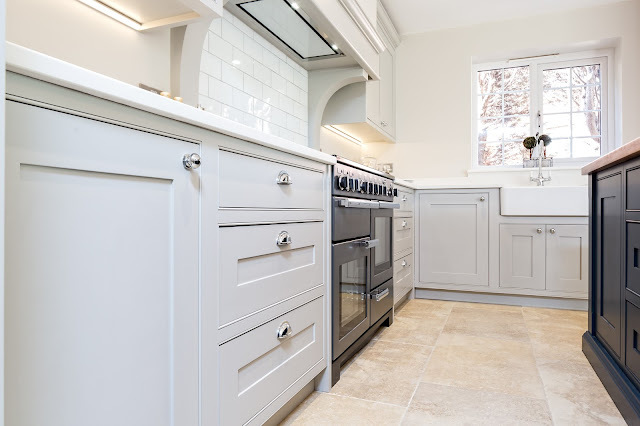 The kitchen has lots of other features including a bespoke larder with storage racks, beautifully hand made walnut cutlery trays, polished chrome handles and a focal mantel surround.